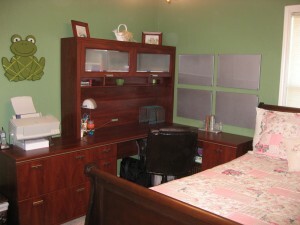 With the sleek, new desk, hutch & file I plan to reorganize myself and my writing. I’m also working on a new book project so I hope that having a more “official” feeling office will help me stay motivated and productive. Leigh, this looks beautiful! You will really enjoy (and use) such a nice, organized space. Happy writing!!! Gorgeous! 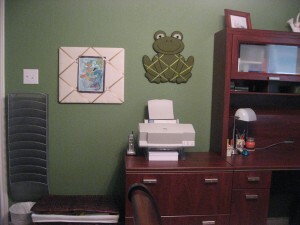 I need to set some private space aside where I feel more inspired to write….still an excuse for not finishing my book.